It is not always necessary to send the Geochron back to the factory, there are certain components that can be easily replaced by the Geochron owner. LED Bulbs only work in Kilburg and Boardroom Geochrons that are newer than 06/2015, OR have been upgraded to the LED Lighting System. They are custom fabricated for Geochron, and only available here. Quantity is one bulb, not a pair. Order two if you need a pair. 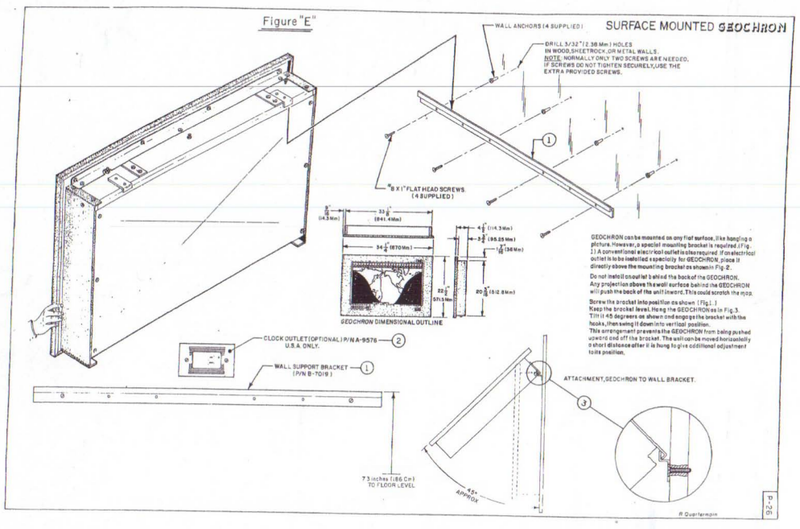 A special mounting bracket is required in order to mount the Geochron. Although they are included with every new clock, often these brackets are lost in a move or not included when someone receives them from a relative or friend. 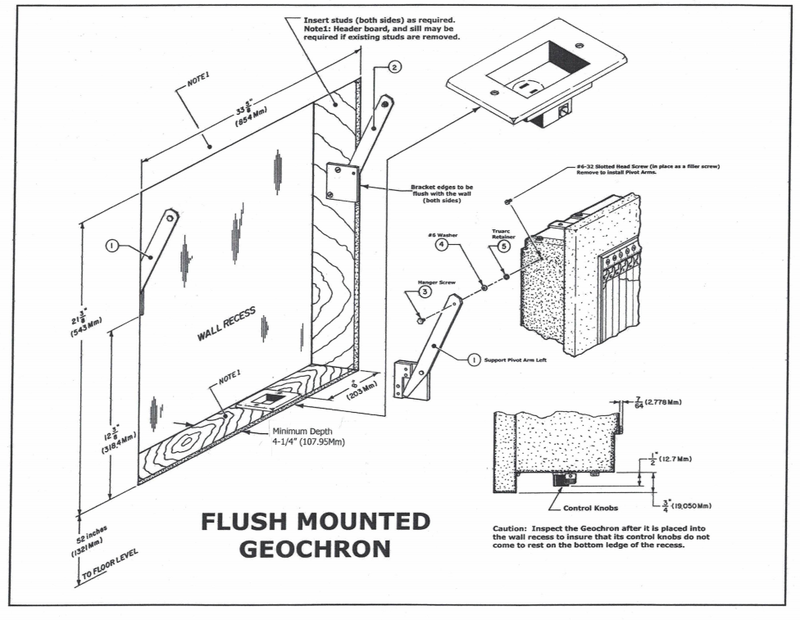 Flush mounting the Geochron requires special “flush mount brackets” and a recess in the wall. They are not included with the Geochron by default. The flush mount brackets enable you to swing the Geochron out of the recess to be able to access the setting knobs and electrical cord. The entire light fixtures for instance can be upgraded by just sending in the fixtures themselves. The process costs $90.00. All shipping costs are based on the distance from the factory and the method of shipping. To order please call 1-800-342-1661 or contact us. The fluorescent light bulbs can be purchased at most home improvement stores (Florescent Lamp #F15T8D). We suggest that you take a bulb with you to the store. If for some reason you can not find a bulb you can always order one direct from the factory, or contact us. Too numerous to list here, this would include sun shades, gears of all shapes and sizes, screws and washers. For the adventurous do it yourselfer, those parts are neatly organized in our shop. Take a picture of what you need, and contact us.